Stonehenge has never looked better. All the colors and tones in the wallpaper are so vivid. The sky mixed in with the grass and stones looks so mysterious. This manipulated background looks so real most people wouldn’t be able to tell. 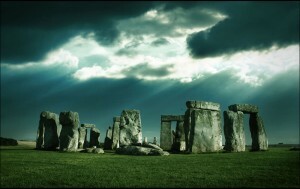 I love how the sky shines through the clouds and onto the stone structures. It’s wonderful.